Bunmi is a Barrister and Solicitor of the Supreme Court of Nigeria. Prior to becoming the Company Secretary/Legal Adviser, she worked as the Corporate Affairs Officer, Assistant Company Secretary and Acting Company Secretary /Legal Adviser. 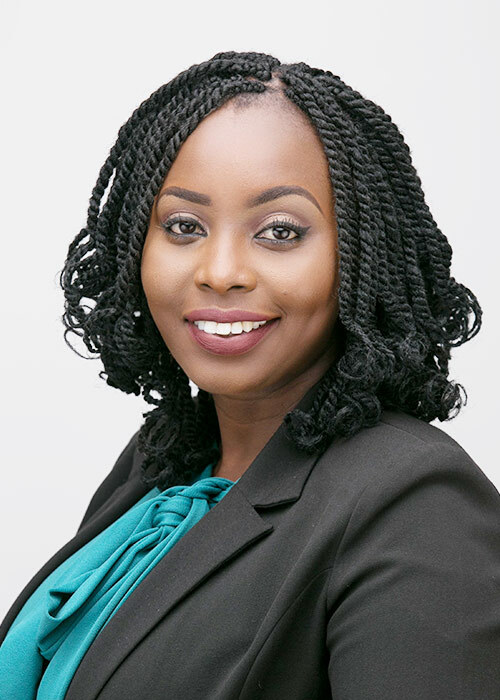 A vivacious and enthusiastic woman, Bunmi has several years’ experience as a General Counsel, with a demonstrated history of working in the oil and energy industry for over a decade. She has overall responsibility for the Group’s company secretarial, legal advisory and compliance functions. She is a graduate of the University of Nigeria, Nsukka; a qualified Chartered Secretary from the Institute of Chartered Secretaries and Administrators, UK, and holds an MSc in Corporate governance from the Leeds Beckett University, UK.